Death and Destruction - The Chip's Challenge Wiki - The Chip's Challenge Database that anyone can edit! Green buttons are for fireballs only. Don't collect the red keys! 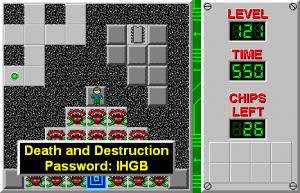 Death and Destruction is the 121st level in Chip's Challenge Level Pack 4. It was created by Tyler Sontag. 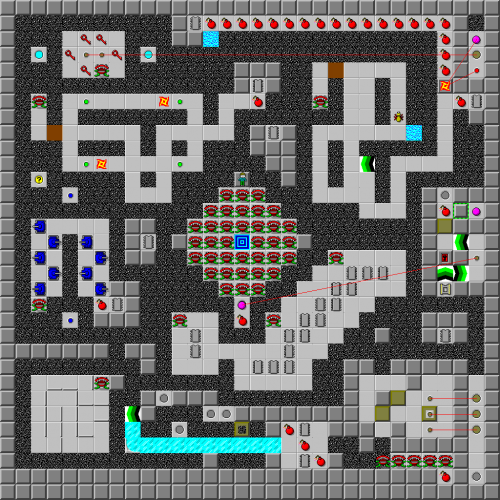 The level was named after a Weezer song from their album, Maladroit. This marks the third level designed by Tyler and named after a Weezer song, after Everybody Get Dangerous and Thief, You've Taken All That Was Me. This page was last edited on 29 March 2019, at 09:21.